The market for software Product engineering services is growing very rapidly as companies in all industries are feeling the pressure to build new products that leverage software to engage and serve consumers. 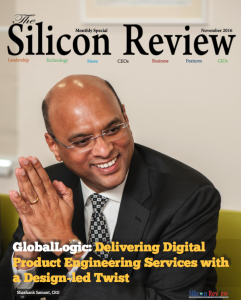 One company that truly meets the demand of this growing appetite for software is GlobalLogic. Founded in 2000, GlobalLogic is a full-lifecycle product development services leader that combines experience design, complex engineering and vertical industry know-how to help customers design, build, and deliver their next generation products and digital experiences. GlobalLogic customers comprise some of the largest and well-known global brands including leading medical device companies, wireless carriers, and network equipment and communications technology companies, consumer electronics, independent software vendors and much more. The company is currently seeing most traction in medical technology, communications, semiconductor, media and technology verticals where the software innovation is most intense, however new verticals are joining the software fray quickly. Today, the company provides design-led engineering services to help clients imagine and build their next generation products. At a time where organizations are struggling with getting the talent and experience necessary to drive their digital agendas, GlobalLogic fills that critical gap, enabling clients to come to market with new, innovative, or even disruptive offerings quickly and economically. Headquartered in Silicon Valley, GlobalLogic operates design studios and engineering centers around the world, extending the benefits of true global presence to customers in telecom, automotive, healthcare, technology, retail, media and entertainment, manufacturing, and semiconductor industries.